Check our most recent movies below, and find even more on our Vimeo channel. Remy in the news with Guillaume Néry and Morgan Bourch’is after they explored the supertanker Haven. The gigantic shipwreck is 280 meters long and 50 meters large and has been lying in Italian waters for 23 years. Freediving is the art of diving with a single breath of air. Here is a video of a great trip freediving and sailing across Aegean sea, Greece, on a beautiful 56ft boat. The French Mafia at Vertical Blue from Blue-Addiction on Vimeo. The French Mafia diving at Vertical Blue, Nov. 2012 : Guillaume Nery, Morgan Bourch'is and Remy Dubern. Remy Dubern dives to 94 meters in Constant Weight with Fin discipline. 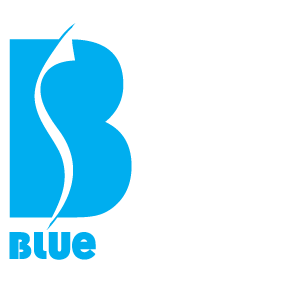 Blue-Addiction is famous ! We are TV stars! A television crew spent 3 days in Crete for a report about Guillaume Nery that was broadcasted after the world championships. We appear as of 7:10 minutes. This part of the report has been filmed after the Mediterranean Cup 2012, organized by Stavros Kastrinakis and where Blue-Addiction was offering the full set of AIDA courses. Blue-Addiction dive KOMODO with White Manta! from Blue-Addiction on Vimeo. Last May, Blue-Addiction boarded for 10 days on one of the White Manta's diving vessels, the KM Black Manta cruising in Komodo waters to film a friendly group of divers. An aquatic ballet with impressive schools of fish sliced by hunting giant trevallies and silvery tunas. Baby sharks swimming on the shallow coral reef, sleeping under those huge akropora tables. And the showstopper, 5 meters manta rays flying over us… Here are the highlights of this breathtaking trip… enjoy – as much as we did ourselves! Remy Dubern & Stefan Randig, two free-diving instructors, dive The Arch of the Blue Hole in Dahab, Egypt, on one single breath: 2 minutes 20 seconds to go down to 58m towed by weights, then fin across the 30 meters long tunnel, and finally ascend back to the fresh air.